adidas has revealed the new official match ball for the 2018/19 UEFA Champions League Final, the Madrid Finale19. 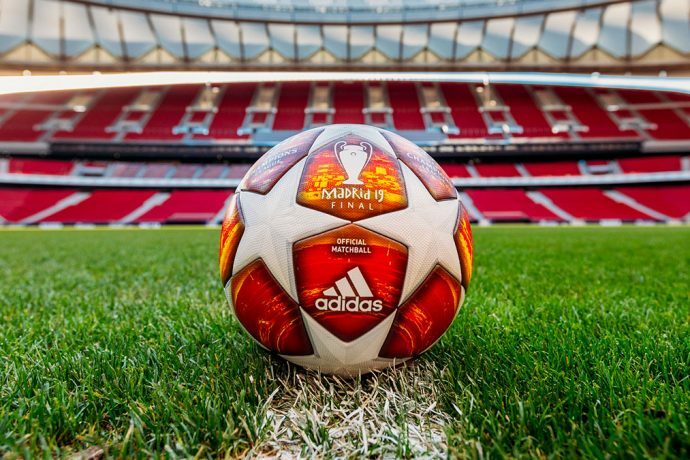 In a departure from previous years, the coloring of the ball has been inverted, with white stars and an innovative red graphic print that features the stadium that will host the final. The ball features the latest adidas performance technology to ensure the best players in the world can perform at their best during the UEFA Champions League . An outer texture coating – consistent across all adidas UEFA Champions League Official Match Balls – offers secure grip and complete control while the thermally bonded star panels provide a seamless surface for an improved first touch.